Facebook Stories is another Snapchat-like feature that Facebook copied. The story goes! Once upon a time, Facebook tried to buy Snapchat, but Snapchat declined the offer. Facebook decided to copy and incorporate all of the Snapchat features into its own app (including WhatsApp and Instagram). Even if you’re not a Snapper, you’re probably already familiar with the concept. No? Well, Good Morning. Stories let you update a photo or video with filters, colorful texts, and doodles visible to your friends. However, the stories are visible for only 24 hours, then they disappear automatically. One thing tho! Facebook Stories is much more intuitive and user-friendly. Unlike Snapchat, where the interesting features are hidden under the up and down swipes. 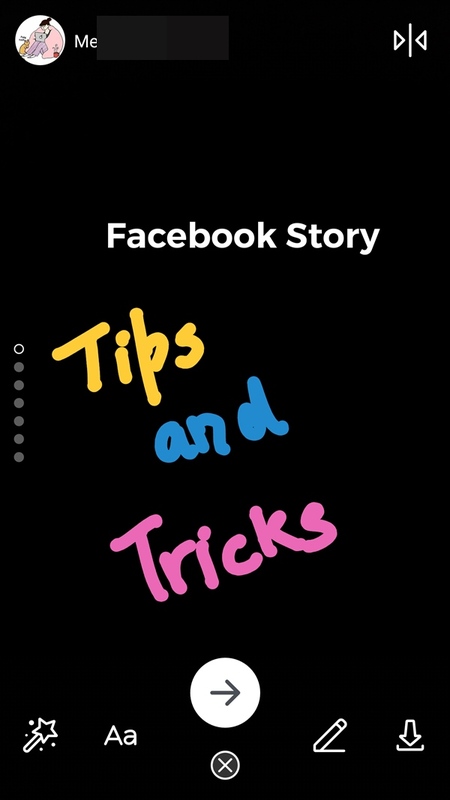 Let’s check out Facebook stories tips and tricks. Who can view my Facebook Stories? For Newbies! When you upload a photo or video to your story, you are able to see the number of views of that story, along with info about viewers. Every time someone sees your Story, a blue circle appears around “Your story” icon on the home screen to let you know a new person has seen your story. That’s interesting Feature and only Facebook stories has it. Other story apps allow you to pause a story by long touch. The same works in Facebook stories. If the above method doesn’t work, you would have to pinch the screen to pause it. I did mention that Facebook stories feature has dozens of filters, right? That includes selfie masks, color filters and animated frames. Again! Unlike Snapchat, they are not hidden. Tell you what? a filter can be applied twice in Facebook stories. When you are taking a live photo and after you have captured the photo if you forgot to add while capturing it. I didn’t say multiple filters right? However, there’s a trick. While capturing a photo apply the filter once, hit capture. 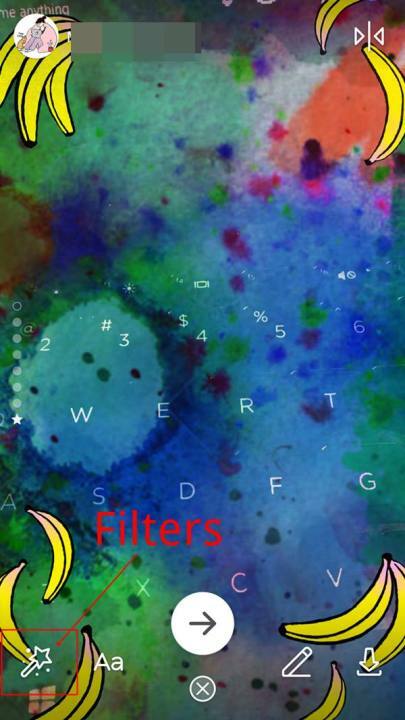 Tap on the “magic wand” icon located at the bottom left corner and apply the second filter. Ta da! You’ll know if you’ve used insta stories. All the icons on the Facebook version have similar functions. Press the circular button at the bottom for a picture, or press and hold for a video from either the main or front camera. Same! To instantly switch from front to rear camera and vice versa, just double tap on the screen. Everybody in your Facebook friend list can see your story. Yep, you read that right. Still, you can restrict people from watching your story by adding them in your restricted list. Wondering what a restricted list is? Restricted list is just like other Facebook lists, you just have to add members to it. Except public posts everything is hidden from the restricted list. So, Yes! Restricted list feature works for stories as well. People in your restricted list won’t be able to view your Stories. To add people to the restricted list, Go to your friend’s profile , and tap on the “Friends” option. On the desktop, tap “Add to another list” from the menu and select Restricted. On your Smartphone, edit friend list option. While doodling, you would want to increase or decrease the pencil size. To do so, once you are in the writing mode, long touch on any color to change the brush size. Once you have captured the photo, hit the flip icon at the top right corner of the screen. Facebook lets you roll video for up to 20 seconds. Instagram Stories only gives you 15 seconds of video, and Snapchat caps it off at 10 seconds. The main difference between Facebook Stories and Instagram Stories is the filters. Facebook lets you add an animated filter. You have a lot more filters and skins to chose from than on Snapchat, but you won’t be able to add emojis to Stories after. Drop a comment, Share your thoughts!